If last years rooted Christmas tree survived the rigors of being brought into the home for the seasonal celebrations, then the chances are that you will wish to bring your tree in again for the following Christmas period. Hopefully it would have retained its ornamental value, but you can guarantee that it would have increased its overall size though natural growth. Like all trees, they will do far better when grown in the ground which means it will be taller and wider by the end of the growing season compared to how it was when it first went in. If your Christmas tree was kept throughout the year still in its pot then its growth would have been restricted due to amounts of available water and nutrients within the pot. 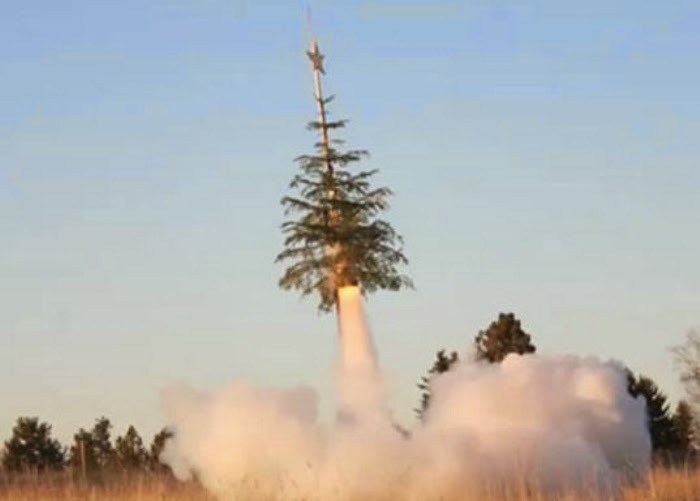 There are two reasons as to why you would want to try and stop a Christmas tree from growing. 1. You have planted a rooted tree in the garden and only later realized that mature specimens are capable of growing to huge 'garden-unfriendly' heights. 2. 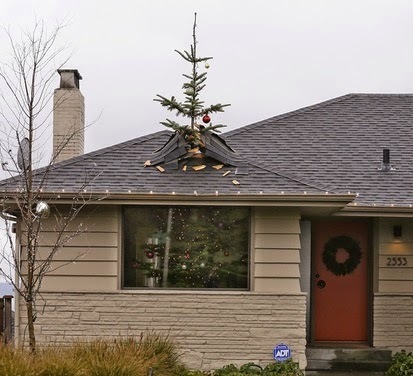 You want to keep bringing in your traditional pot-grown Christmas tree inside the house but it is getting to a point where the growing tip is about to touch the ceiling. Of course only a dead Christmas tree genuinely stops growing so for specimens taking over the garden you may need to face facts, put your hand in a deep pocket, and call in a tree surgeon to remove the tree. 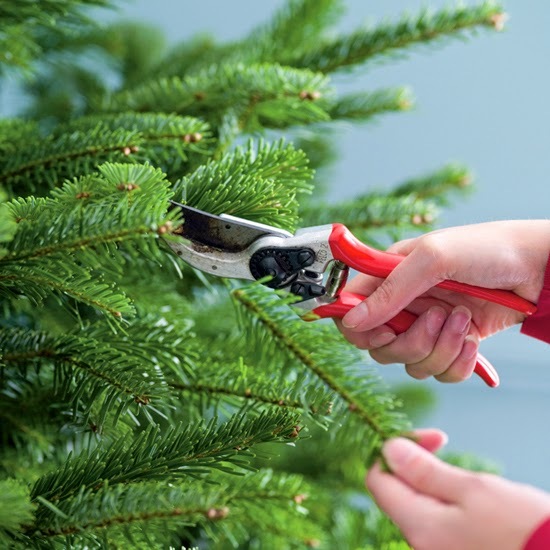 If the tree is not too big, and you feel that with the appropriate safety equipment to could successfully attempt some work, then remove the leader shoot and trim back all of the side branches to produce an attractive cone-shape. Always cut back to a bud, never cut back into brown wood. For example, on trees that are approximately 6ft tall, you are probably only looking at cutting the stems back only by a few inches. You will need to trim back your tree every year, but in vigorous specimens this may need to be increased to twice a year. Once when the tree is dormant in the winter and again during the height of the summer. If you have access to commercial herbicides then you can consider applying a plant growth regulator either as a foliar spray or as a granular application to the soil surrounding the trunk. Perhaps the most commonly used product on the market is 'Cutless' which works by suppressing terminal growth. Treated plants require less trimming and exhibit a more compact habit. 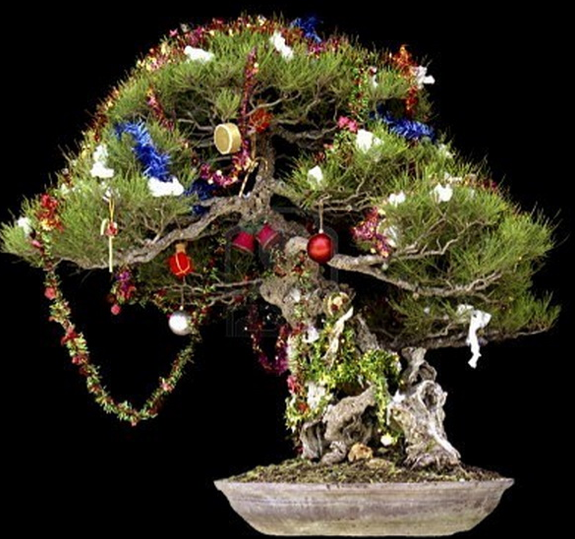 However due to the larger concentrations of oils, resins and latex materials exhibited within some Christmas tree species plant growth regulators may only have a limited effect. The last solution is to restrict growth by treating your Christmas tree like a bonsai. As mentioned earlier, keeping a Christmas tree in a pot will restrict its growth but with limited nutrients and water can result in weak, unattractive growth. To avoid this, either re-pot into a larger size pot pot in the spring using fresh, good quality compost, or if the pot is as large as you are already comfortable with then remove the tree from the pot during the early winter (when the tree is dormant) and carefully remove the outer few inches of the rootball. Repot the tree back into its original pot using fresh, good quality compost to fill the gaps. Water in, and then water as necessary over the summer. Feed the Christmas tree with a water soluble ericaceous fertiliser.